Charts are a trader's window to the markets. With the many advances in today's trading platforms, traders can view vast amounts of market information on their computers. With so much data available, it's essential to use well-designed charts that enhance, and not hinder, your view of the markets. 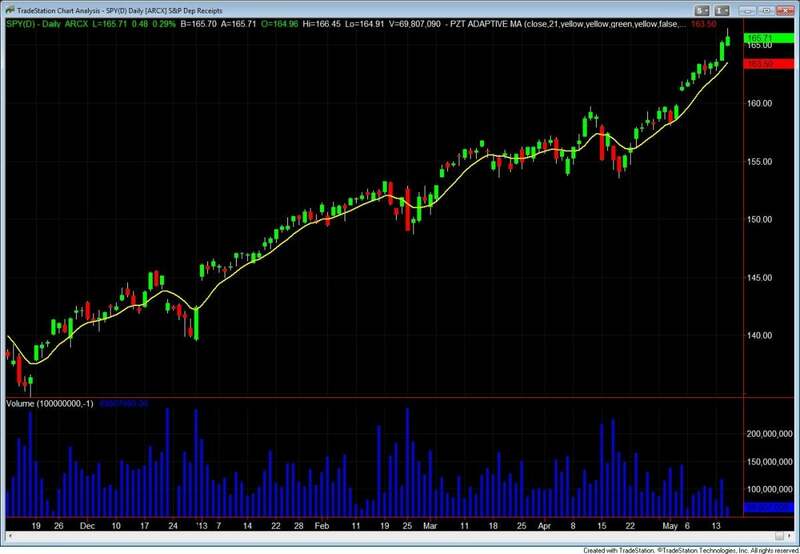 While the data and tools you choose to include in your charts ultimately have the greatest impact on how you interpret the markets, the overall design of your charts can improve your situational awareness, response time and trading precision. You could have all the right information to make smart trade decisions, but if you can't find and interpret that data quickly, it is useless; the opportunity will be lost. The faster you can interpret market data, the faster you can react to changing conditions and pounce on trading opportunities. Clear, easy-to-read charts are essential. In this section, we will take a look at how you can set up high performance charts. Most charting platforms support literally hundreds of color choices. Since you will be spending a lot of time looking at your charts, both for research and actual trading, choosing colors that are easy to view is a must. Individual colors on the chart should be carefully selected, and the combination of colors should create a chart that has adequate contrast and is visually pleasing. In general, chart backgrounds are best kept to neutral colors; white, grey and black tend to work well. Bright or neon colors may become intolerable over even a short period of time and can make any chart indicators difficult to see. Once a pleasing, neutral background color is selected, you can experiment with colors for the rest of the chart (things such as grid lines and text for time and price). These colors are best kept neutral as well and should contrast with the chart background so that all information is easy to see. A white background with light grey grid, axis and price components, for example, creates an easy-to-read chart. The price bars and indicators should stand out from the chart background; these are, after all, what you are really watching. Price bars in red (for down bars) and green (for up bars) will show up well against any of the neutral background colors; and price bars in black (for down bars) and white (for up bars) stand out very well against a grey background. Indicator colors should provide enough contrast to be easily seen and interpreted. The following figure shows an example of a chart that has a neutral background and easy-to-view elements. You may want to consider using one color scheme for the order entry chart (the chart you use to make your trade entry and exit decisions) and a different combination of colors for all the other active charts of the same symbol. This way you'll always be able to quickly identify your order entry screen. A "workspace" is comprised of all the charts and data that appear on your trading monitor. Having more than one monitor is enormously helpful in creating an easy-to-interpret workspace simply because there is more real estate. Some traders like to use one monitor for order entry and any remaining monitors for price charts and other analysis tools. It should be noted that too much information can become confusing, even with multiple monitors and well-designed charts. To avoid confusion and clutter, it's important to remove any extraneous indicators or market data from your chart. It takes a bit of trial and error to find the most useful tools for your market analysis, and eliminating unused and redundant indicators and data allows you to focus on the important elements. Technical indicators can be applied to a price chart either as an overlay or as a sub-chart. Overlays are drawn directly over the price bars. Bollinger Bands® and moving averages are examples of overlays. Sub-charts appear directly below the price chart. Examples of indicators that typically appear in a sub-chart include stochastics, the Commodity Channel Index (CCI) and the Relative Strength Index (RSI). If you are using the same indicator on multiple charts, it's a good idea to keep them in the same location, using the same colors, on each chart. This makes it easier to find and compare the specific indicator across various charts. Using bold and crisp fonts makes it easier to read the numbers and text that are displayed on your charts. In general, you can keep fonts small for information that you may need to reference once in a while, but that is not integral to your trading decision. For example, the names of any analysis techniques that are attached to a chart, such as technical indicators and strategies, typically appear as text at the top of the chart to which they are attached. Since you probably don't need to be able to view this information regularly, the font size can be relatively small so it doesn't take up extra space. The prices that appear on your chart's price axis, however, are likely very important to your trading and should be sized appropriately. Once you have decided on the font and size for the text and numbers that appear on a chart, it is a good idea to use the same selection on all of your charts. This continuity can aid in creating easy-to-read and interpret charts. Once you have a chart setup that you are happy with, you can save it so you don't have to reformat your charts and workspaces each time the analysis platform is opened (see your platform's Help section for directions on how to do this). It is also a good idea to take a screenshot for backup purposes. You can do this either by using your platform's Save as Picture feature (or a similarly named function), or through your computer by pressing the Prt Scr (print screen) key to capture the entire screen, or Alt + Prt Scr to copy only the active window. You can then paste the screen capture into a document, e-mail message or other file. Since setting up the charts and workspaces is a time-consuming process, it is in your best interest to have a quick method of restoring any lost setups.